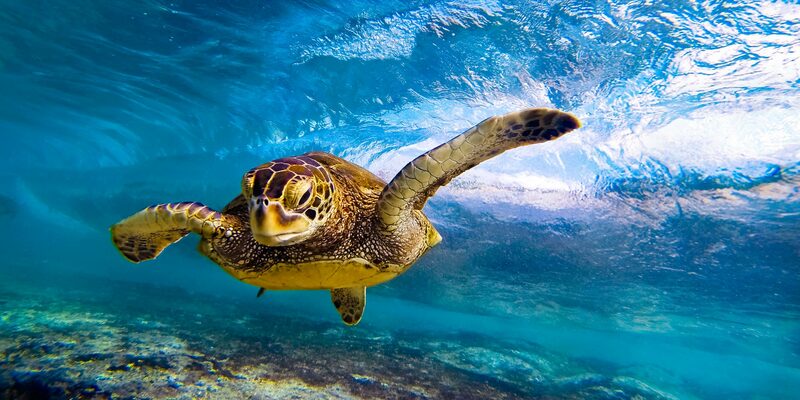 Atort Photography is the practice of Oahu, Hawaii-based photographer Anthony Tortoriello. In the latter half of 2015, the client's work was featured in an advertising campaign by Apple Computer. Soon after, the client contacted me and asked for assistance in creating a new website to match his growing stature in his field and to enable his business to grow further. 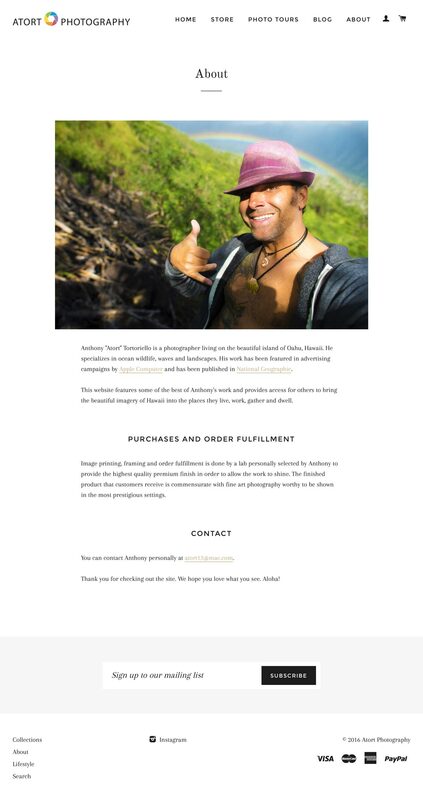 After thoroughly listening to the client's criteria for the new website and defining the client's goals for moving his career forward, I recommended the Shopify ecommerce platform based on overall low cost to maintain, general ease of use, and options for automated order fulfillment for photography products. One of the client's needs was to keep costs low, and we were able to achieve this and build a fully-functioning website in under 35 billable hours. This included training and follow-up communication. 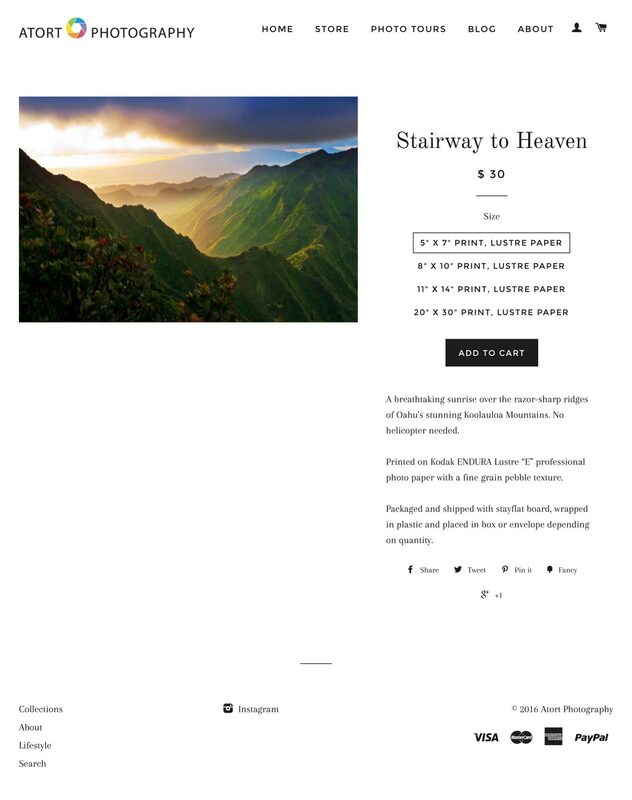 The website was successfully launched, largely due to the client's engagement with his Instagram account followers and pre-launch newsletter campaign. Within one week of going live, the online store made enough revenue to cover the entire cost of development. A word of caution on projects like this: revenues will usually track the level of involvement in managing the store. And the managing and overall strategy has to be sharp. Often clients will want to set something like this up up and forget about it, and they soon find that their online business starts to stall as a result. There is a sort of myth in a lot of marketing for online commerce platforms that informs this behavior, but the reality is that to run a successful online store, one has to show up every day, engage with customers, have an angle, hustle, and at the end of it all, do housekeeping and keep things looking fresh. And that can be a challenge for some in the long run. 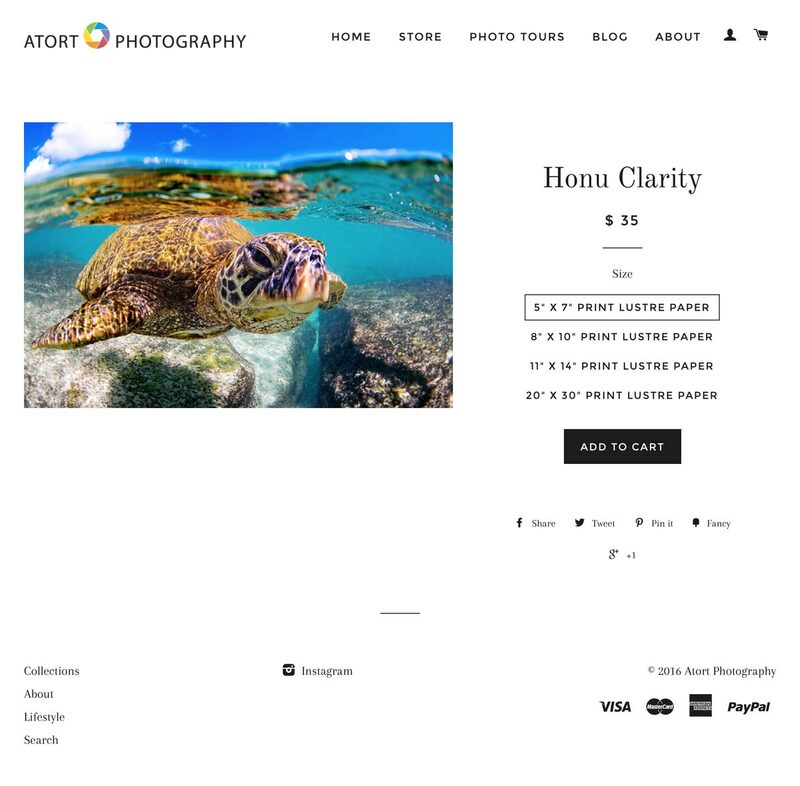 You can view the client's website at AtortPhotography.com.